To remove a member from a team, click "Remove..." to the right of their avatar on the team's members page. The member that is being removed from the team will receive an according notification. You must be an admin of the team to remove other team members. When you remove a member from a team, they will still be a member of any boards to which they currently belong. You will need to remove the member manually from those boards to prevent them from having access to those boards. 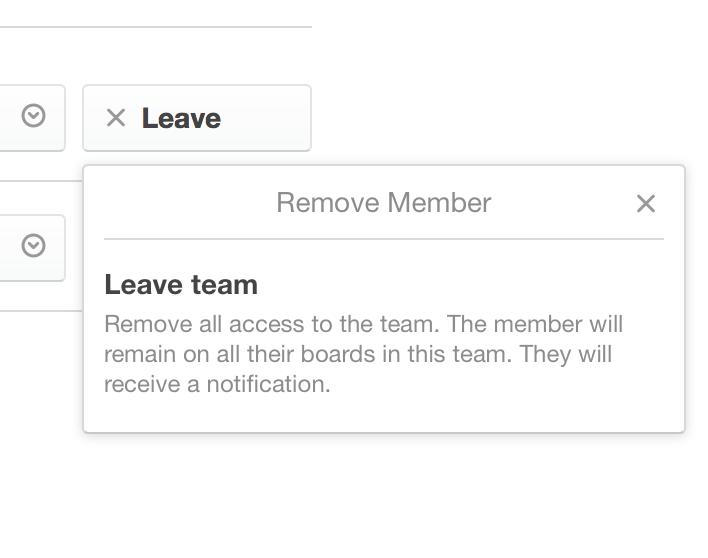 Team admins can remove other members from their team. You will always be able to remove yourself from a team. Scroll down until you find your own username, where the "Remove..." button will be replaced by a "Leave..." button. If you are the only admin of a team, you will need to make someone else an admin before leaving, or delete the team. 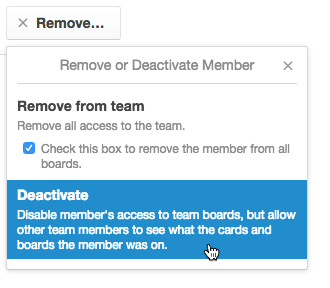 Organizations that have Trello Business Class have several additional options when removing members from a team. 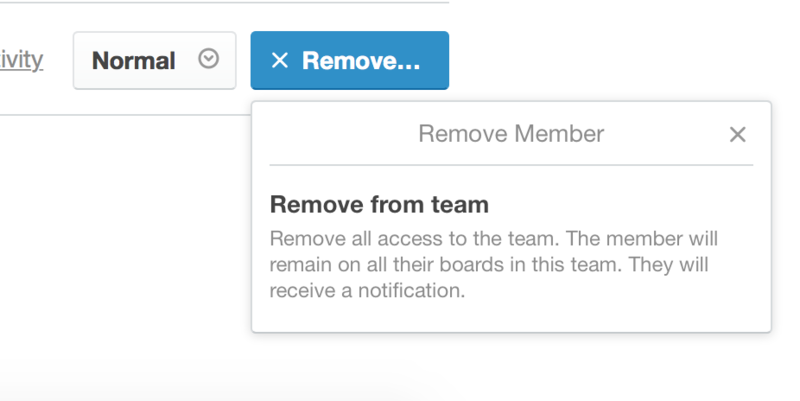 In addition to the option to removing a member from all the boards within the team, you also have the ability to deactivate users. Deactivating users removes the user's access from the team and the team's boards, but you're still able to see the cards to which the user belonged. This is helpful when trying to re-assign a member's work when one of your team's members leaves. Deactivating a member will not send them a notification.